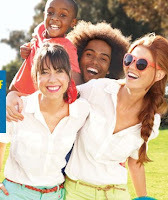 I haven't seen a great sale from Old Navy is a while, but they have come back with a large-and-in-charge offer - up to 40% OFF apparel for summer! Shorts, swimwear, shirts, flip-flops, and whatever else is needed to make you look and the family look prepared for the season are discounted from $8. Best of all, this sale lasts all the way into next month. Bonus: Through June 11 they are offering Super Cash, which means you get store credit for every decent-sized purchase. Essentially for every $25 you spend you get $10 back. Click here to see the deals at Old Navy.